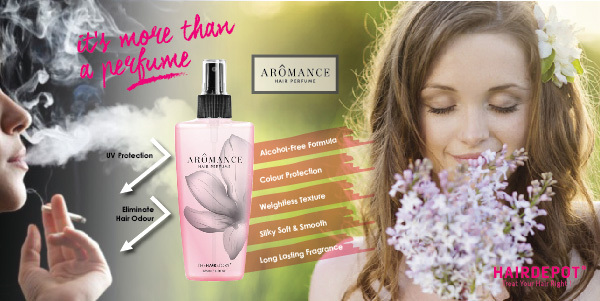 AROMANCE HAIR PERFUME 125ML – HAIRDEPOT - Hair & Scalp Care Products, Prevent Hair Loss, Shampoo, Conditioner, Treatment, Styling, Appliances and more! It has a clear, thin, wightless texture that instantly absorbs, without weighting it down or making it look greasy. 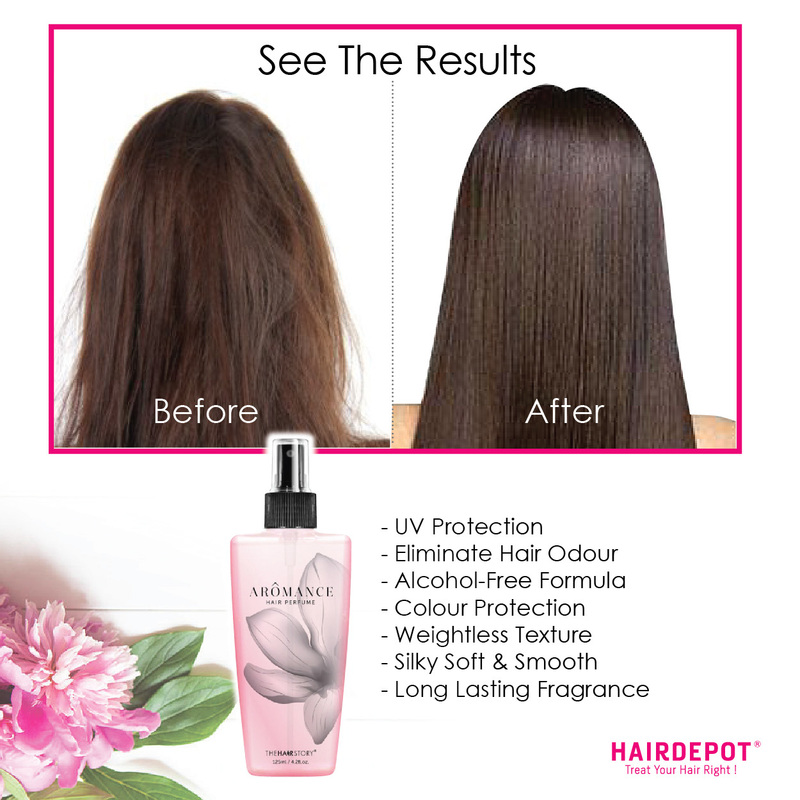 It has a rich, romance Intense gloss and protection spray for coloured or damaged hair. With UV filter for colour protection. 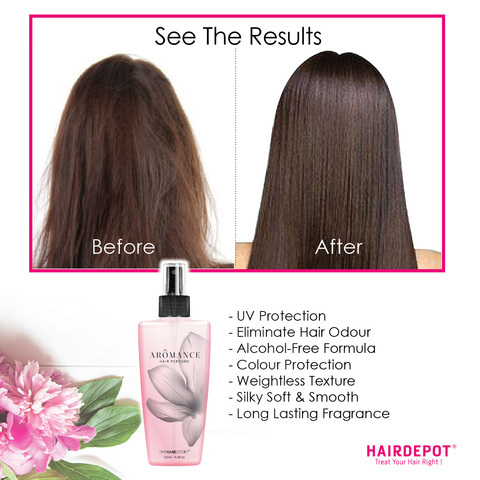 After towel drying spray throughout your hairavoiding roots and comb through. 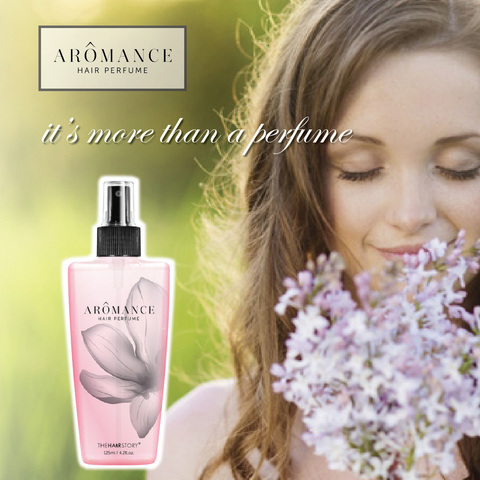 not only does it make the hair more manageable, it reduce drying time by 50%. You can apply it after you blow your hair to keep the frizzies at bay.